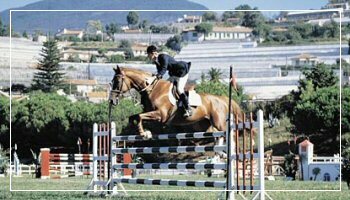 On the hills surrounding San Remo in the residential area of Solaro, you can find renowned riding grounds known as the “Campo Ippico.” It was opened in 1930 for a major equestrian event attended by King of Italy, Vittorio Emanuale III. The facility is named after Colonel Solaro who invented modern horce racing and directed the famous riding school in Pinerolo (Piedmont). The Riding Grounds at Solaro are structured to host high-level events, competitions, and contests, such as the horse racing on the international circuit CIS and national circuit A, the famousDerby dei Fiori, the annual races of the Formula 2 National Circuit, and more. Perfectly set in a splendid green landscape, the facility offers an indoor riding school, a grass race track with stands, a sand track, and a sand pitch. In addition you can find a bar, a restaurant, and many comfortable areas where you can both enjoy the lovely scenery and relax. As far as facilities are concerned, there are changing rooms and facilities for guests, a reception, open areas, and rooms for the jury. Here you can also stable both horses and ponies in independent boxes. The structure is particularly equipped to accommodate high-level events, such as horse racing on the international circuit CIS and national circuit A and other prestigious events such as the famousDerby dei Fiori . Immersed in a green area, the center offers an indoor arena, a golf competition in stands with grass, a sand arena and a rectangle fixed in the sand. Moreover elegant spaces to relax and enjoy the view, the bar and restaurant. As for the facilities, there are changing rooms and toilets for the guests, an office, public areas and rooms for the judges. Both horses and ponies can be housed in the stables, each in an independent stall.